A leadership scholar at The University of Toledo is a finalist for a prestigious national teaching award. Dr. Clinton Longenecker, Distinguished University Professor and director of the Center for Leadership and Organizational Excellence in the UT College of Business and Innovation, is one of three finalists selected for Baylor University’s 2018 Robert Foster Cherry Award for Great Teaching. The other finalists are Dr. Heidi Elmendorf, associate professor of biology at Georgetown University, and Dr. Neil Garg, professor of chemistry at UCLA. The Cherry Award is the only national teaching award — with the single largest monetary reward of $250,000 — presented by a college or university to an individual for exceptional teaching. The Cherry Award winner, which will be announced by Baylor in 2018, will receive $250,000 and an additional $25,000 for his or her home department and will teach in residence at Baylor during fall 2018 or spring 2019. The Cherry Award program is designed to honor great teachers, to stimulate discussion in the academy about the value of teaching, and to encourage departments and institutions to value their own great teachers. Individuals nominated for the award have proven records as extraordinary teachers with positive, inspiring and long-lasting effects on students, along with records of distinguished scholarship. 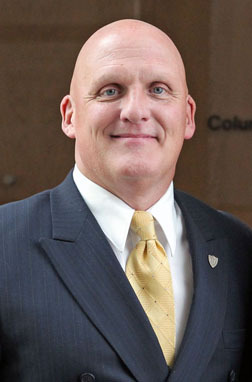 His teaching, research and consulting interests are in high-performance leadership and creating great organizations. Longenecker has published more than 190 articles and papers in academic and professional journals, as well as several best-selling books. His latest book, “The Successful Career Survival Guide,” was published in March. This entry was posted on Friday, March 31st, 2017 at 9:22 am and is filed under Alumni, Business and Innovation, News, UToday .